BT Cables provides cables and accessories for a number of sectors, including telecommunications, infrastructure, buildings, industrial and rail. The company is a wholly owned subsidiary of BT Group plc and has a global client base. BT Cables defence standard 61.12 parts 4 and 5 are multicore, flexible cables that are designed for high-density wiring between components and within instruments and electronic equipment. They are extensively used in aircraft, process control systems, computers, data processors, military vehicles and military equipment. The impressive range of new products from BT Cables has been accompanied by the launch of a series of brand names which are registered trademarks. The brand names are designed for ease of association with the product application and make them instantly recognisable as cables, which provide customers complete peace of mind and excellent value for money. The new products perfectly complement BT Cables’ current cable series. The company now offers solutions for access control, security and intelligent building systems. The introduction of the enhanced product range and development of a new improved website are both key developments in BT Cables expansion initiatives across the Middle East and North Africa (MENA) and Europe. This BT Cables brand is proving extremely popular, which has led to recent contract awards from European operators and partner agreements with a number of major distribution outlets covering the UAE and surrounding areas. BT Cables remains committed to work with its customers and partners, to ensure growth and mutual success, as well as continue with its investment in operations and personel. 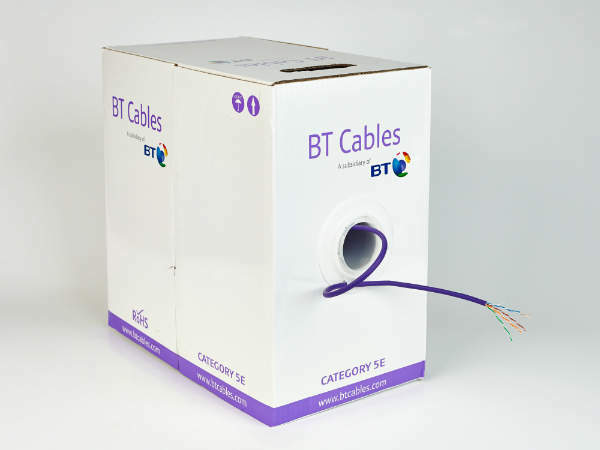 BT Cables is one of the few companies within the industry to have an environmental manifesto. The company is ISO 14001 certified and fully compliant with Restriction of Hazardous Substances Directive (RoHS) requirements. The company offers a full range of halogen-free flame retardant (HFFR) cables and has also recently achieved several environmental milestones, including a reduction of 3% in power consumption, the substitution of wooden battens by plastic wrapping (50%), the redesign of wooden drums to reduce the wood consumption (15%), collection of 70% of drums to be re-used in the domestic market and most significantly, there have been no environmental claims received for more than ten years. Furthermore, BT Cables is working with The Carbon Trust, Groundwork EBS and The Manufacturing Institute to calculate its carbon footprint and reduce its impact on the environment by up to 25% in the next ten years. BT Cables is heavily integrated with BT Supply Chain, an organisation with 950 professionals across 22 countries. Recently, the firm transferred all of its logistics requirements across to the BT Supply Chain team, which works with other logistics providers and freight forwarders as required, to ensure customer orders are delivered on time, to the correct specification and in the most efficient manner. Using this transport infrastructure and model, BT Cables can be proactive in the collection and return of the empty drums upon which they supplied cables. Each drum owned by the firm has a unique number engraved on each flange and allows the firm to understand where the drum was delivered to against a particular order. BT's 75 Ohm coaxial cables can be applied to CATV and SMATV devices. 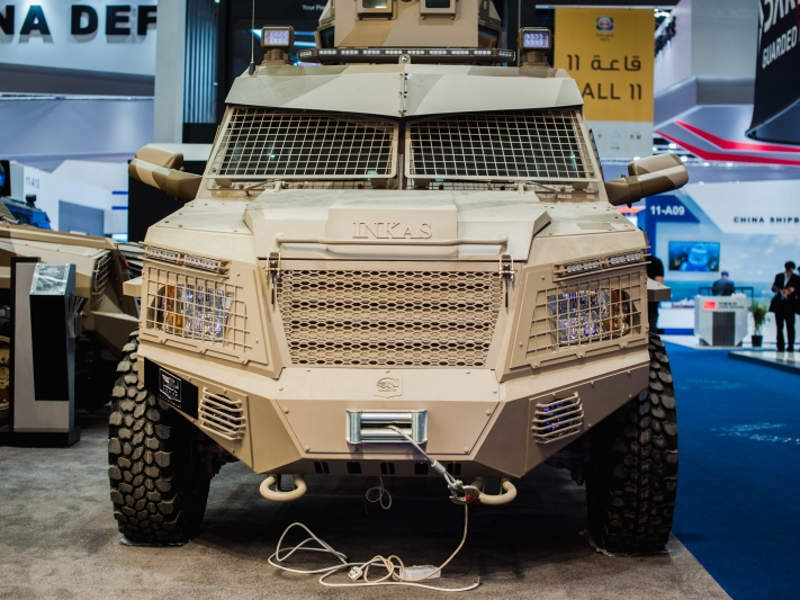 The Titan-D 4x4 armoured personnel carrier (APC) is produced by UAE-based company INKAS Vehicles to meet the requirements of worldwide military and law enforcement forces. It is the latest member in the family of Inkas Titan APCs.